The Cyntara Development Team is proud to announce that Cyntara v11 will be released June 16, 2018. This season, there will no be split teasers, this post will contain the majority of information regarding the massive content and client update that will encompass the work of Heztix, Silence, Diath, and Red. And of course many other features. With this season, a critical eye was taken to equipment and weapon progression. Now, players will be able to progress at a steady rate without plateauing for hundreds of levels at a time. For example, in the past few seasons, if a player looted a royal helmet, the player would continue to use that helmet until the player obtained the demon helmet then used that for the rest of the game. Now, that will not be the case; through monster drops and quests, players will be exposed to more varied equipment. In addition, we have added three new tiers of weapons to the weapon upgrade system and have implemented a level gate in addition to the Annihilator gate where players will not be able to upgrade their weapons until they can wield them properly. This is to help avoid a level 100 from having a nightmare blade where they should be using a fire sword. But along with v11 client comes new items entirely! We've added dozens of new items with many more ready to be released in the future. But these items don't solely just pop in, we have completely new attributes applied to new and existing items. Keep an eye out on any equipment drops, you might be surprised to see what you find! All weapons in the weapon upgrade system now have unique attributes. Typically, swords can be found with Mana Leech, clubs commonly hold the ability to reduce damage from boss monsters, axes often boast a Life Leech ability, bows tend to carry a critical hit chance and critical damage perk, and crossbows oftentimes have both Mana Leech and Life Leech! To allow for equipment pieces to be more situational, we have also merged sword, club, and axe fighting into one single fighting type - melee; as a knight, players are free to wield any sword, club, or axe as you wish. We believe that with the inventory changes listed above, it will drastically improve the gameplay experience and players should no longer lack new equipment during the development of their character. We have adjusted every common monster drop and common quest reward to account for these changes. A few of the new item attributes are as follows: Life Leech, Mana Leech, Critical Damage, Endurance, Mana Cost Reduction, Increased Damage vs. Bosses, Decreased Damage from Bosses, Increased Damage to Blood/Venom/Fire/Energy/Undead Race, Increased Item Effectiveness. These new attributes are exclusive to the inventory found in-game and cannot be obtained through the enchanting system at this time. Version 11 features a radical revamp to monster spawns. The first adjustment we looked into was adding notable equipment drops that can be looted. As stated in the previous section, the variety of monster spawns ranging from early game all the way to late game now drop loot that will contribute to the progression of your equipment. In addition, certain spawns now will drop items that will be needed to aid players in later game. For example, Fire Devils now drop Trapped Lightning, which grants its user access to the Wyrm spawn. In v10-s2, we found that a lot of spawns were underutilized. With that in mind, we completely overhauled the stats and abilities of almost every monster. Their experience, health, damage, and defenses have all been reworked to lessen the number of underutilized spawns; in addition, certain spawns have a completely new map to call home. A few spawns with new homes include Outlaws, Black Knight Bosses, and Ghastly Dragons. A lot of these changes stemmed from the feedback provided by the community, and for that, we thank you. Cyntara v11 will feature many spawn changes that players requested specifically. A few notable examples include: Additional Mad Mage spawns, multiple open floors in the Mad Mage and Outlaw Spawns. We have also adjusted a number of areas to accommodate for the popular request for more higher level mage spawns; Yielothaxes, and Demi Liches are both now a level 800 spawn, and will fit this category nicely. 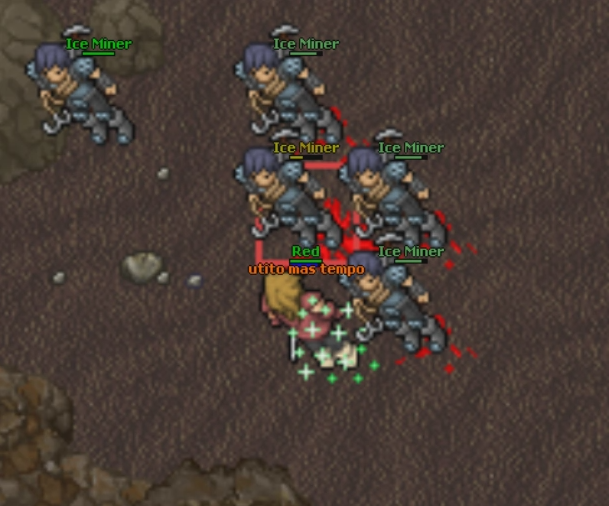 Nightmayers are now an additional level 800 spawn, and will be a good spawn to hunt for all vocations. Drakens have had a complete overhaul and are now targeted toward AoEing hunting. In addition, all the Spectral Awakening monsters have a chance to drop AP tokens (Commendation and Royal Commendations). 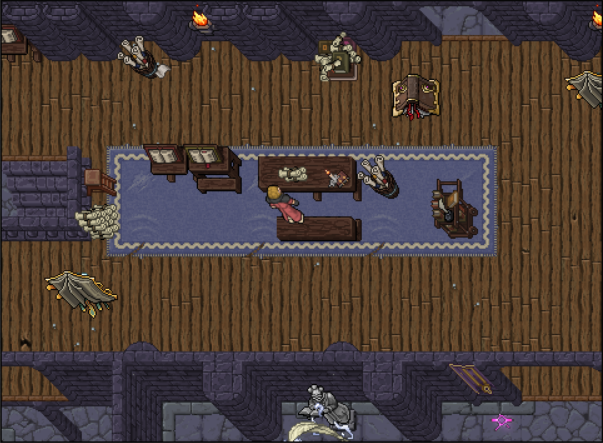 Additionally, players will also notice that all monster spawns have been moved to the first floor of the teleport room. The left side of the teleport room will continue to house lower level monster spawns, and the right side of the teleport room will now be home to all higher level monsters. Finally, bosses of each monster have had their loot adjusted, including task monsters, boss monsters, and raid monsters; to name one example, Ghazbaran now has a chance to drop one of the best equipment in the game. Finally, we have added two brand new hunting spots to the map: Flying Books and Shadow Dragons. Both spawns are targeted toward players level 1000 or higher and employ different, unique hunting style strategies. Spawn revamping and monster balancing continues to be an ongoing process and will continue to happen periodically, but with v11, this is our biggest monster revamp yet. For all of the aforementioned reasons, be certain to keep an eye out for all monsters and bosses come next season! Cyntara v10-s2 introduced Artifact Weapons, and with Cyntara v11 we are pleased to announce that we have tackled two glaring issues with the system. The first issue that was noticed was that the upgrade progression was harsh and unrewarding in its early phases; this issue is being addressed by introducing an additional tier to the Artifact Weapons as well as spacing out the upgrade tiers better. Previously, the Artifact Weapons had 4 tiers: Level 0, 20, 35 and 50. We have adjusted the progression to follow a 5-tier formula at Artifact Level 0, 5, 15, 30 and 50 instead. The second issue was that was noticed was that with the introduction of the Artifact Weapons, a duality between the Artifact Weapons and the traditional weapon progression was created as well. Our solution - players will now be able to infuse their Artifact Weapon with their regular weapon to receive additional damage bonuses. For example, infusing the Artifact Weapon with a Nightmare Blade will destroy the Nightmare Blade and increase your Artifact Blade's attack by +5; infusing the Artifact Weapon with a Clement Sword, which is a sword obtained later in the game, yields a +10 attack bonus to the Artifact Blade. These damage bonuses are not additive; you receive the highest bonus applied to your Artifact Weapon. You also cannot downgrade nor remove the infusion to receive the item back. Additionally, the infusion process requires sacrificial material items that can be obtained through the Mining profession. The Artifact Power system introduced last season will now boast a new benefit in Cyntara v11 - additional spells tied to the Artifact Weapon for each vocation. Each vocation will receive 2 spells that unlock at Artifact Level 5 and 15. » Thunder Storm ("utori mas vis") - Periodically zaps up to 4 of the closest, reachable PvE targets dealing energy damage and electrifying them over time. » Transcend ("utori rai sio") - Increases all PvE damage by 20-25% for 60 seconds for the caster and all guild and party members within 30 SQM range. This spell applies a 30 minute debuff for everyone affected making them unable to benefit from the spell again while still under the effect of the debuff. Druid - Druids have received two new spells in the past season, we are moving them to the Artifact instead to even it out. » Rejuvenation ("utura sio") - Apply a healing over time buff to a friendly target that heals them 40 times every 2 seconds. This buff can be applied up to 3 targets. » Healing Totem ("utevo res vita") - Summon a healing totem that periodically mass heals friendly players around. » Volley ("exevo con hur") - Shoots a volley of arrows in front of the caster dealing physical damage. » Strafe ("exori mas con") - Shoots arrows/bolts at up to 3 closest, reachable PvE targets dealing physical damage and applies static bleeding damage over time. » Cleave ("utito mas tempo") - Your auto attacks will splash in a 3x3 area around the target for 35% of the original damage for the next 60 seconds. » Fortitude ("utamo rai tempo") - Reduces all incoming damage by 75% for the next 10 seconds. Take a moment to check out this video on the Artifact Level 5 ability for Knights - Cleave! Last season the Transmogrification System was introduced which allows players to change the appearance of items. This system was massively underutilized, primarily by its high entry level requirement as well as its requirement to sacrifice a useful item for a non-beneficial perk. With Cyntara v11, Item Transmogrification will be a ubiquitous, inline gameplay feature. We have removed the quest completion requirement, and removed Transmog stations completely. The Transmog menu can be reached from the client directly and equipment pieces can be Transmogrified from anywhere. Additionally, any item you loot or obtain as a quest reward is automatically added to the list of equipment you can use. 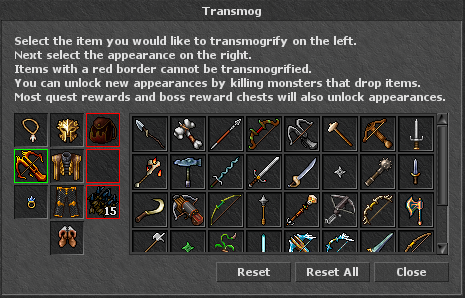 Further, to Transmogrify your equipment piece no longer requires an item to be sacrificed. In the event that players are hunting in a party, everyone that is eligible to loot the corpse will unlock appearances for their collection. To access the new Transmog menu, players can simply press the "More" tab on their client, and select "Transmog" from the "More" menu. This button will provide a clean, intuitive window to walk you through the process and allow you to browse your collections. » Players that have reached Alchemy Level 20 will now have a chance to loot an Alchemy Mount Recipe from bosses. Once learned, players will be able to craft an item that grants an exclusive mount. This item can be traded and sold to other players. » Added "learned" recipes and brewed elixirs statistics that can be viewed in the More -> Professions client window. » Added new elixirs that grant new item attribute buffs (ie. Life Leech, Mana Leech, etc). » Players that have reached Enchanting Level 20 will now have a chance to loot an Enchanting Mount Recipe from bosses. Once learned, players will be able to craft an item that grants an exclusive mount. This item can be traded and sold to other players. » Added personal enchantment crystal and orb of enchantment usage statistics that can be viewed in the More -> Professions client window. 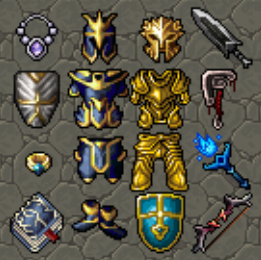 » The values of physical and death protection received from enchantments have been reduced. » Players that have reached Mining Level 20 will now have a chance to loot a Mining Mount Recipe from bosses. Once learned, players will be able to craft an item that grants an exclusive mount. This item can be traded and sold to other players. » Added personal mining statistics that can be viewed in the More -> Professions client window. » Mining ores will now have an exclamation mark icon above them to make them easier to notice. Cyntara v11 boasts a brand new "Shrine System" that will encourage more active engagement in hunting and provide for a more interactive hunting experience. Shrines will randomly appear in common spawns and grant a random buff when used; shrines will disappear after use. The buffs that can be found include resistances, bonus stats/skills, increased experience rate, and many others. 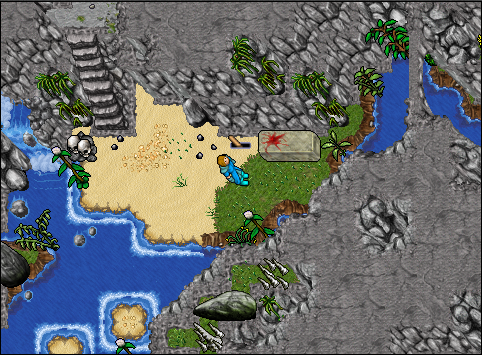 Players will not find more than a single Shrine in any given spawn, but the Shrine type and location may vary. Shrines are not guaranteed to exist in any spawn at any specific time, the locations and times are chosen at random. 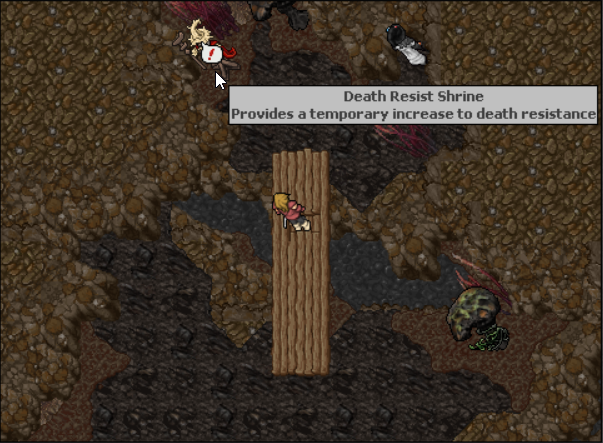 Shrines, like mining ore, will display an exclamation mark icon above them to make them easily visible; a tooltip with the Shrine's name and effect can be viewed by hovering over the icon with your mouse. 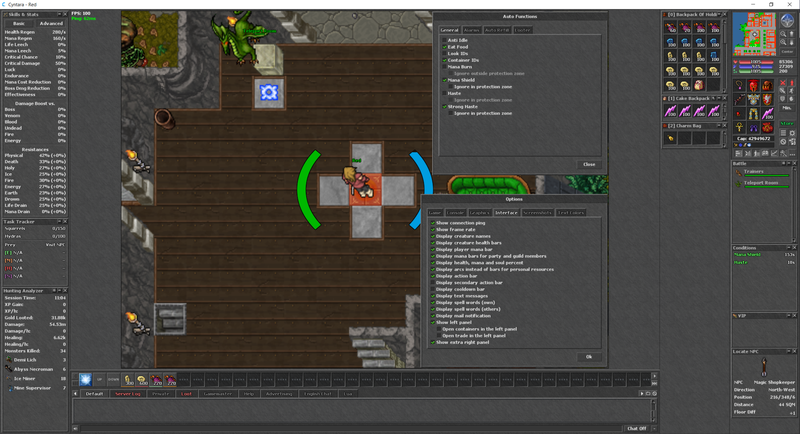 The Cyntara Team is quite content with how the Dungeon System has turned out and are eager to continue improving on it. As expected, with Cyntara v11 we have done just that - by addressing two critical issues. First, the fashion in which the Dungeon Talisman works has been changed. Last season, when a team abandoned a Dungeon or ran out of time, their Talisman became depleted; a depleted Talisman meant that your next run (and possibly more) yielded no loot or rewards. This mechanic discouraged players from continuing to participate in Dungeons for that week - so, we axed depleted Talismans all-together. Instead, when a team abandons a dungeon, their talisman will downgrade by one level for the same dungeon - however, if a team runs out of time but complete the Dungeon, their Talisman will be downgraded by one level for a random dungeon in the same difficulty bracket. Further, using a downgraded Talisman to access a dungeon will yield loot and rewards. 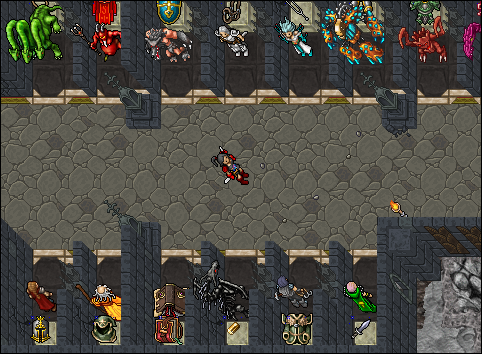 Second, we are addressing the issue of Dungeons feeling repetitive by adding brand new Dungeons! This season brings 3 new dungeons. Having created a solid foundation with the Dungeon System, the Development Team is eager to create even more Dungeons in the near future. A new face has set up shop in Cyntara City this season. NPC Lucia will provide players with a different quest every week to provide players additional rewards for engaging in regular activities such as completing Dungeons, Tasks, and more. Lucia can be found in the Oceanfilter Apts north-east of the temple. Of course, the Locate NPC feature can be used to find her as well! Players will receive notifications as they progress through the weekly quest and the quest will be automatically turned in once completed. Cyntara v11 will additionally offer a free, built-in proxy located in the Central Europe to help with latency in some cases. Please keep in mind that there is a chance that your connection is already being routed through the most optimal path to the Cyntara server and that the proxy may increase your latency. You should conduct your own test and see which option works best of you. 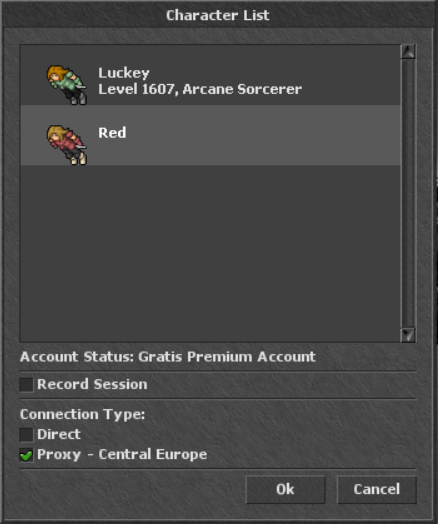 The proxy can be enabled in the character list window by checking the "Proxy - Central Europe" checkbox before logging in. Posted by Red on 06/13/18 10:34 PM.